We are a leading provider of the Wedding Catering Service. These services are highly in demand during the wedding season. The catering is done as per the client’s requested menu and in keeping with their budget constraints. The ingredients used to prepare the items are freshly procured. 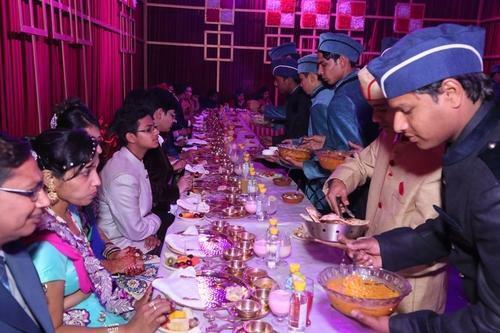 Different varieties of food, drinks and desserts are carefully plated and served in the best manner possible.